For more information, call (504) 471-2192, e-mail saintshalloffame@yahoo.com or visit SaintsHallofFame.com. 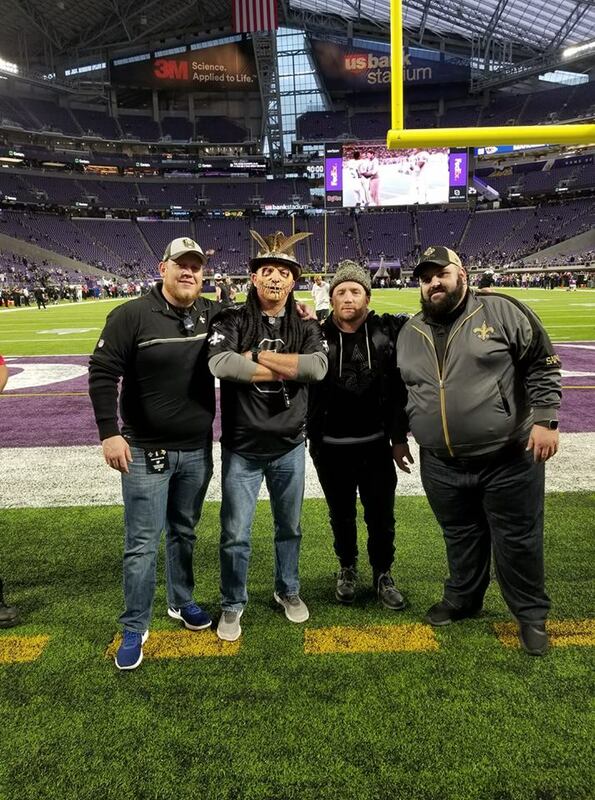 Found our first photo of the Who Dat Nation at the Saints vs Minnesota game… Who Dat Frank and friends! 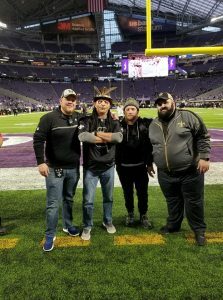 Posted in Who Dat's | Comments Off on Who Dat’s in Minnesota!! 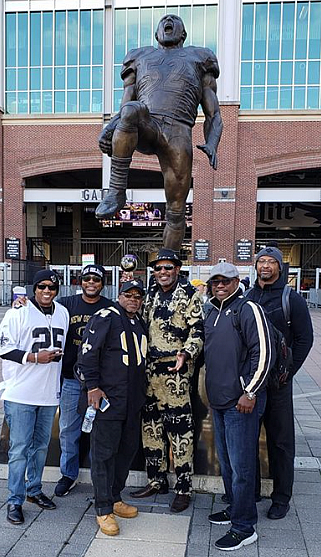 Who Dat Nation takes over M&T Bank Stadium-Ravens Stadium. Who Dat ready to beat the ravens. Posted in Who Dat's | Comments Off on Who Dat Nation takes over M&T Bank Stadium-Ravens Stadium. 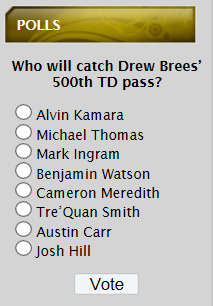 Who will catch Drew Brees’ 500th TD pass? person to add a comment about who you think will catch the pass. Posted in Who Dat's | Comments Off on Saints vs Ravens ! New Orleans’ favorite couple welcomed another member to the family on Tuesday. “Steve and Michel Gleason are happy to announce the birth of their second child, a baby girl,” who was born on Tuesday afternoon in New Orleans, Team Gleason associate executive director Clare Durrett said. “All are healthy and happy,” Durrett said. More details about the baby will be reported as they are made available. Football season is here and we want you to come to Louisiana for the Ultimate Football Experience. First, we will fly you and a friend to Baton Rouge and hook you up with a pair of tickets to the big game. You’ll kick the day off at a pregame tailgate experience at Drew’s favorite spot in Baton Rouge right next to campus, Walk On’s Bistreaux and Bar. Then you’ll head over to catch the game! The next day you’ll head to New Orleans, where we will get you pre-game sideline passes and a pair of tickets to watch the Saints take on the Rams. On Monday, we’ll give you a tour of the Saints facility where you’ll get to meet Drew! He’ll present you with his game-worn jersey from Sunday’s game and autograph it for you too! To enter to win, donate a minimum of $10 to the Brees Dream Foundation to support our work improving the quality of life for cancer patients and providing care, education and opportunities for children and families in need. If you give more, you’ll get more entries to win this Ultimate Football Experience, as well as some great Saints merch. Thanks for your support! I’ll see one of you at the game! Will the New Orleans Saints be active at the NFL’s trade deadline? The NFL trading deadline line is approaching, specifically on Tuesday, October 30th at 4pm eastern time. 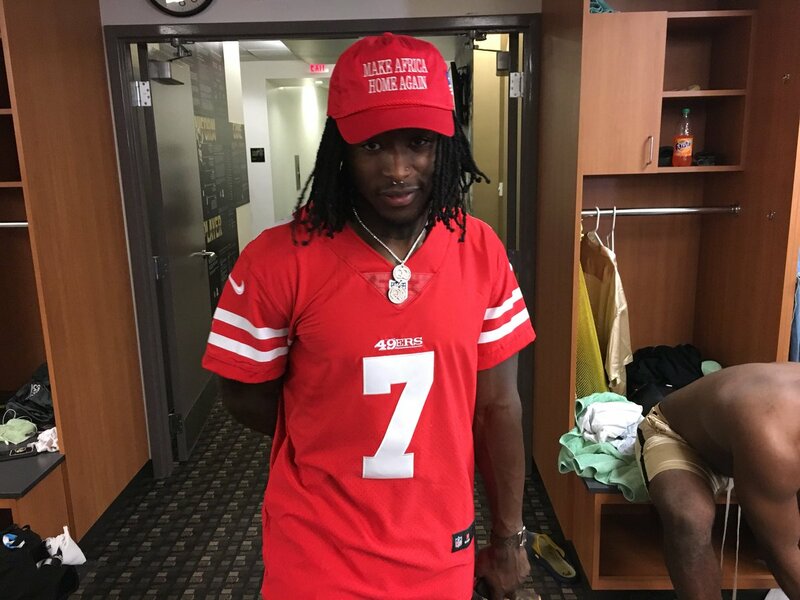 The 4-1 New Orleans Saints are on their bye week, so of course it’s time to engage in rumors that will almost certainly not happen. Some whispers throughout the league have Arizona Cardinals cornerback Patrick Peterson on the market, and others have suggested that Oakland Raiders corner Gareon Conley might be available. Barring anything unusual, New Orleans probably lack the resources to get a player like Peterson, who is still one of the league’s better corners. Posted in Saints News | Comments Off on Will the New Orleans Saints be active at the NFL’s trade deadline? The New Orleans Saints have settled their secondary and haven’t had many coverage busts since playing the Tampa Bay Buccaneers in the season opener, which has been more palatable for the coaching staff. But one of the reasons for the better organization has been a slight shift in philosophy for the secondary. While the team still uses single-high safety coverages regularly, the defense has mixed in more Tampa 2 looks to help settle the defense. The coverage is a variant of Cover 2, which features two deep safeties covering a zone. In Tampa 2, the middle linebacker is asked to cover the deep middle area of the field.